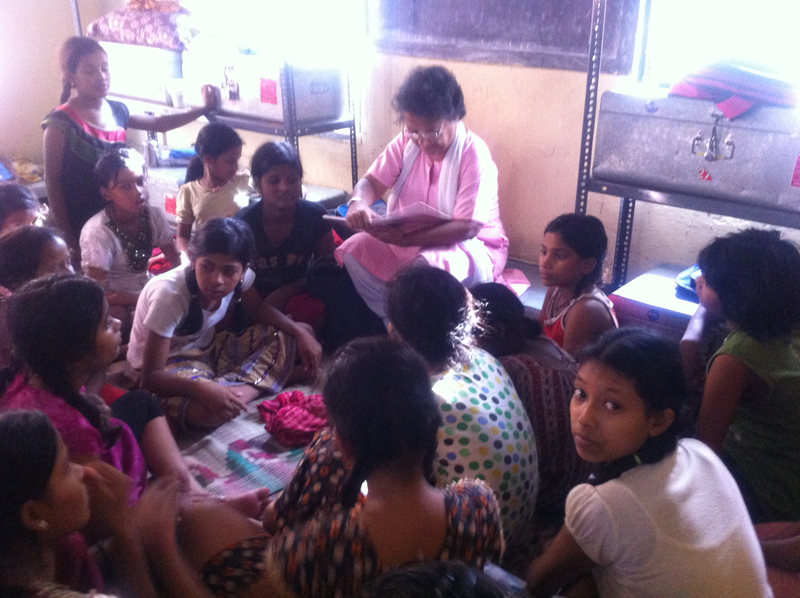 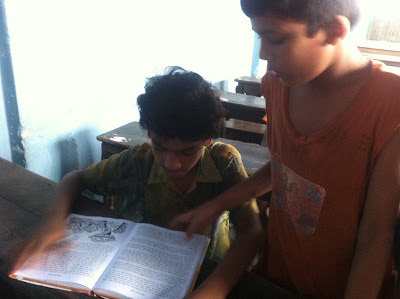 Megha Malhotra from PeaceWorks sent us the following note and pictures. PeaceWorks—An initiative of The Seagull Foundation for the Arts is a project that works through arts and culture, with young minds, to foster a spirit of peaceful coexistence, mutual respect across differences, and equality thus catalysing social change. 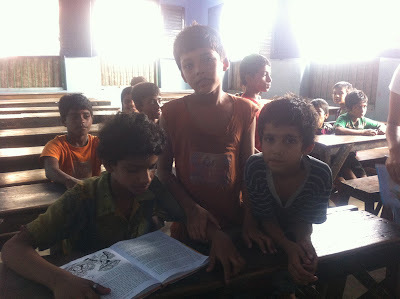 For nearly a decade now, PeaceWorks has worked with scores of students and teachers, in India and across the border with schools in Pakistan, and lately in Kashmir. 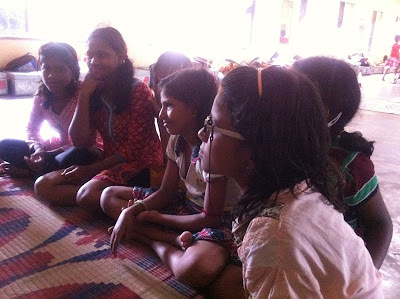 With children from privileged backgrounds and with street and slum children—often designing projects that bring the two together and thereby developing sensitivities and creating a platform that facilitates 'learning to live with difference'. 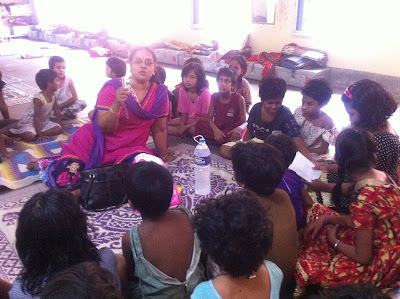 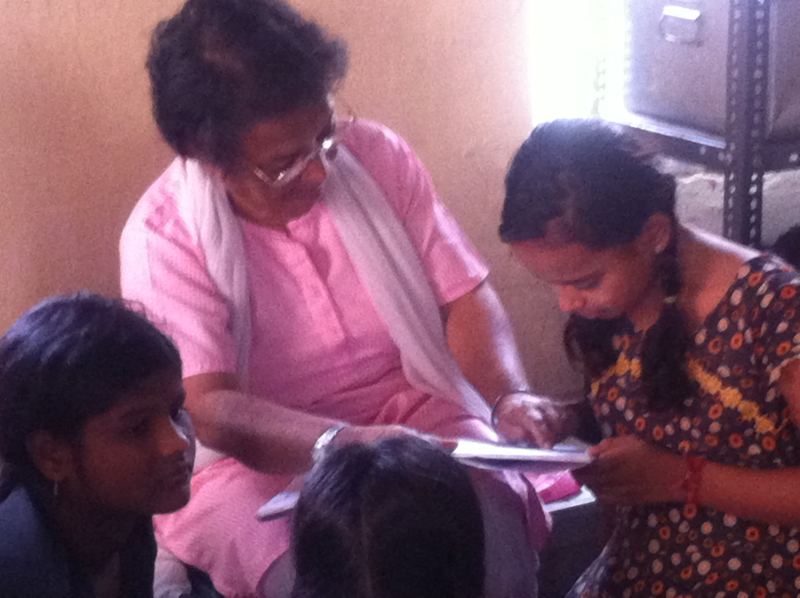 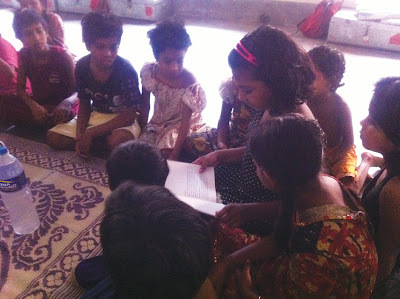 We had wonderful sessions at three of our centres where we conduct weekly storytelling sessions. 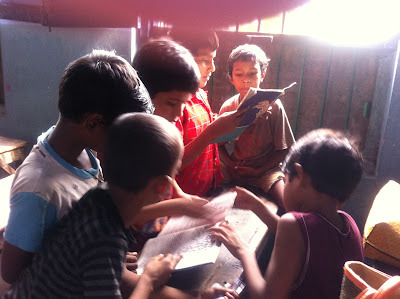 This is part of our Share Stories Open Minds project in association with Kolkata Police. 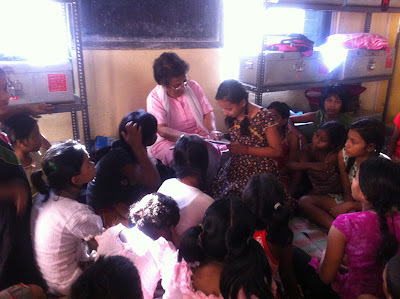 On the 7th our volunteers encouraged the children to read. We reached almost a hundred children. 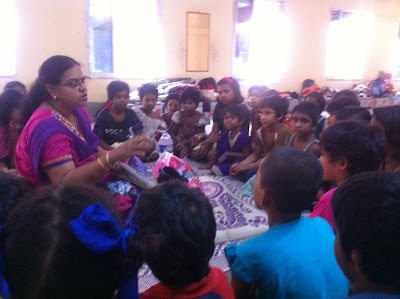 Attached please find pictures and videos of sessions at two of the centers—Vikramgarh High School and Chetla Home Calcutta. 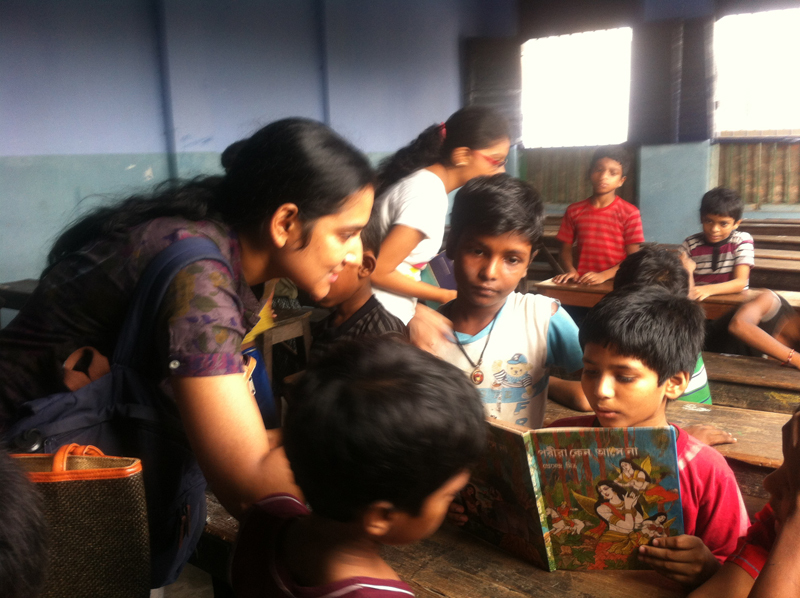 Thank you PeaceWorks for spreading the joy of reading!